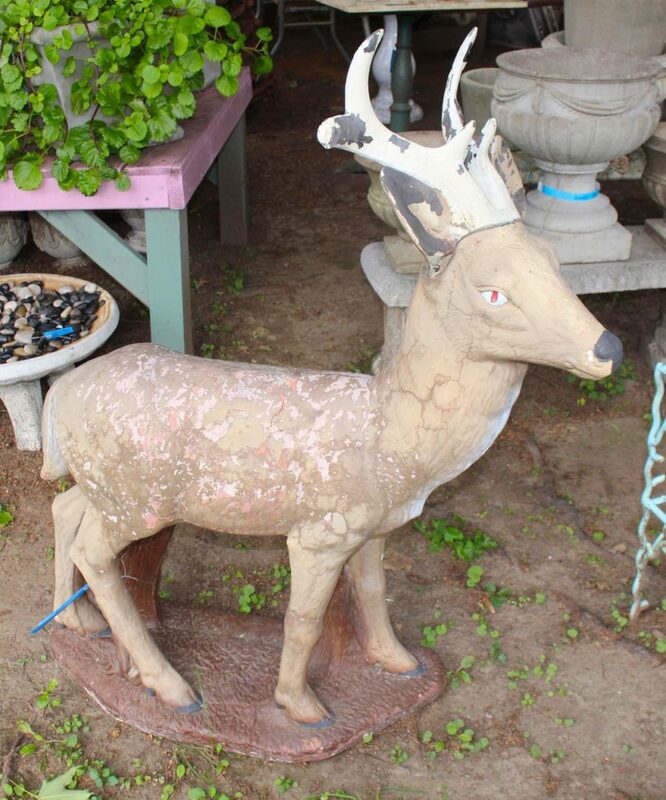 This cement deer is well over 3′ tall. His antlers and ears are a separate piece that sits in a notch on the top of his head (we assume he was constructed this way to avoid damage during transport). Good “as found” condition with surface wear typical of old cement garden pieces.